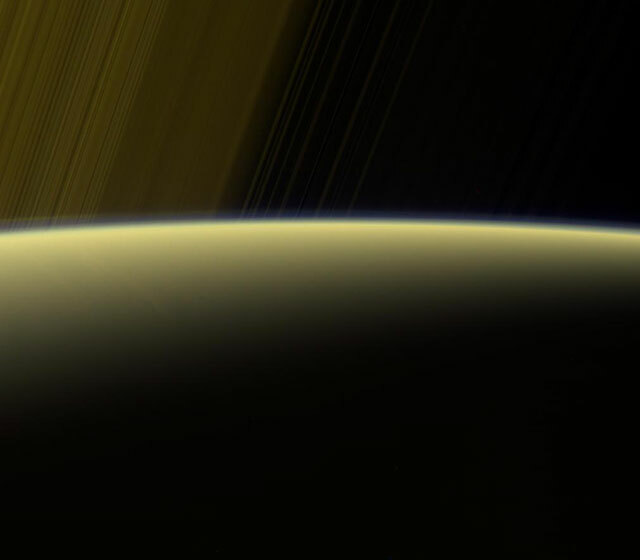 August 14, 2017 – NASA’s Cassini spacecraft has entered new territory in its final mission phase, the Grand Finale, as it embarks on a set of ultra-close passes through Saturn’s upper atmosphere with its final five orbits around the planet. Cassini made the first of these five passes over Saturn at 10:22 p.m. MDT Sunday, August 13 (12:22 a.m. EDT Monday, August 14). 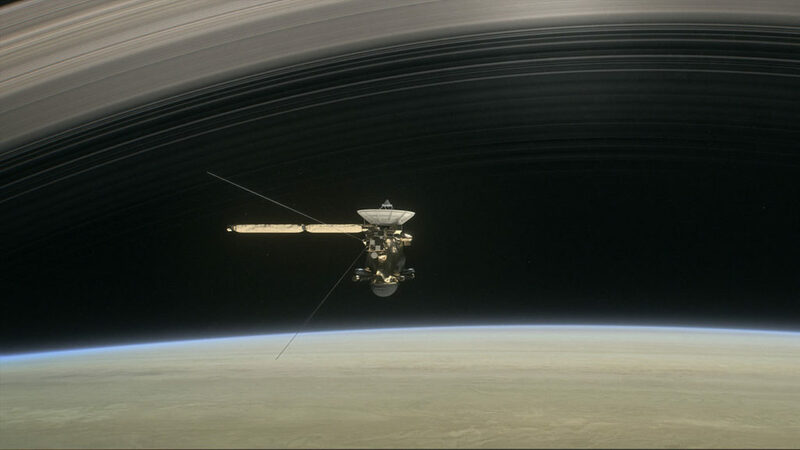 The spacecraft’s point of closest approach to Saturn during these passes will be between about 1,010 and 1,060 miles (1,630 and 1,710 kilometers) above Saturn’s cloud tops. The spacecraft is expected to encounter atmosphere dense enough to require the use of its small rocket thrusters to maintain stability — conditions similar to those encountered during many of Cassini’s close flybys of Saturn’s moon Titan, which has its own dense atmosphere. Maize said the team will consider the August 14 pass nominal if the thrusters operate between 10 and 60 percent of their capability. If the thrusters are forced to work harder — meaning the atmosphere is denser than models predict — engineers will increase the altitude of subsequent orbits. Referred to as a “pop-up maneuver,” thrusters will be used to raise the altitude of closest approach on the next passes, likely by about 120 miles (200 kilometers). Other Cassini instruments will make detailed, high-resolution observations of Saturn’s auroras, temperature, and the vortexes at the planet’s poles. Its radar will peer deep into the atmosphere to reveal small-scale features as fine as 16 miles (25 kilometers) wide — nearly 100 times smaller than the spacecraft could observe prior to the Grand Finale. On September 11, a distant encounter with Titan will serve as a gravitational version of a large pop-down maneuver, slowing Cassini’s orbit around Saturn and bending its path slightly to send the spacecraft toward its September 15 plunge into the planet.